The apartment is located on the ground floor of a historic building with garden. The living room features two spacious sofas, including a sofa bed, flat screen TV and dining table. The kitchenette is well equipped with dishwasher, kettle, toast bread and everything you need to cook your meals. The bedroom is equipped with a comfortable double bed and large wardrobe. The bathroom is spacious with tub, washbasin, bidet, toilet and mirror. Private parking in the garage. 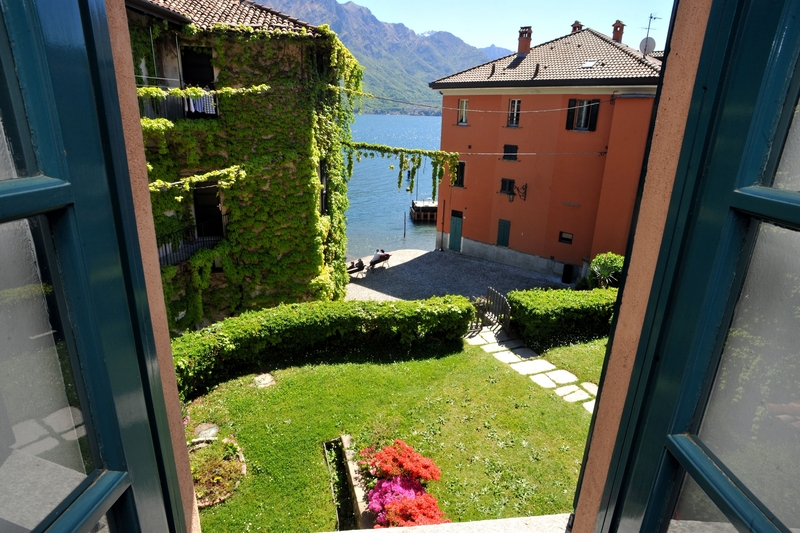 The apartment overlooks the enchanting bay of Pescallo, a small hamlet of Bellagio, 5-10 minutes walk from the center, along a picturesque lake-side alley. Restaurant and beach just few steps away.